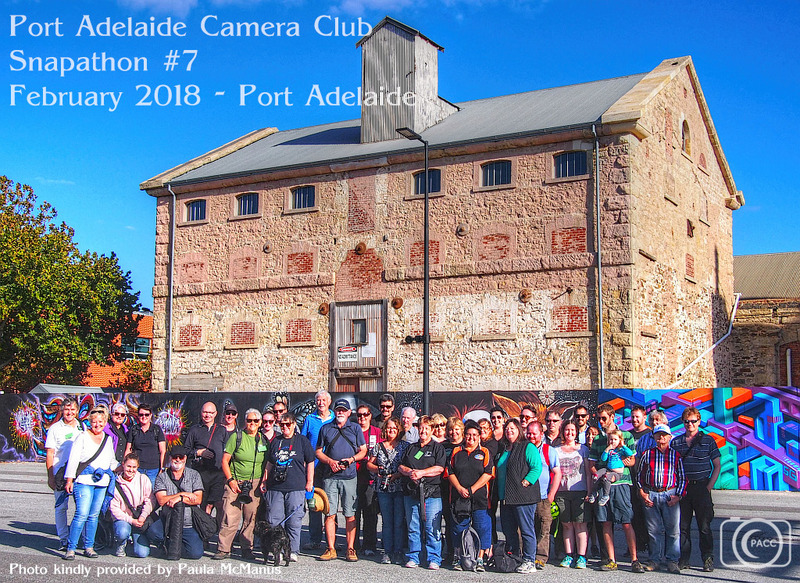 Port Adelaide Camera Club: Get ready, get set, go! 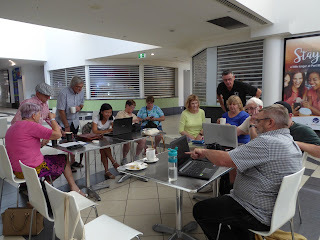 We started the year with a special 'Member's Only' workshop, which was a nice relaxed informal start to the club year. 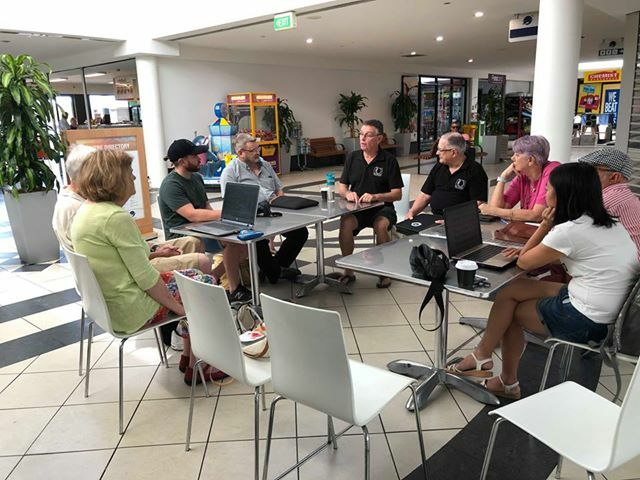 14 members attended and enjoyed a chat, and a coffee or two. Many thanks to David Sandison for hosting - stay tuned for news on possible future dates! Many thanks to Joy & Rob for supplying photos. 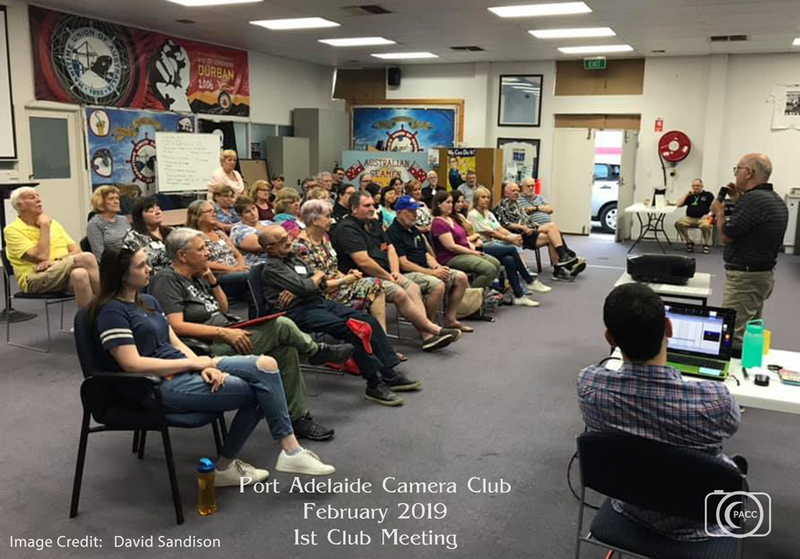 Our first club night for 2019 was a great success with approximately 40 in attendance, and we start the year with 9 brand new members! Lou Marafioti gave a wonderful presentation and everyone was most inspired! We have our first competition night coming up next Tuesday, 19th February 2019. A reminder for members that cut-off is midnight this coming Saturday, 16th February 2019. I would also like to take this opportunity to remind everyone about our Annual Snapathon - this year will be #8. Each year, our member Paula McManus co-ordinates this event - it is a bit like a scavenger hunt, but with cameras! It is usually a whole lot of fun, and last year, we opened it up to the public ..... and had a great turn out. This year, our Snapathon will be held on Sunday, 24th February 2019, in the beautiful suburb of Semaphore and starts at 9.45 am. Please see our Facebook Event for further details. And ofcourse, the 5th March 2019 is when we will be showcasing the winners of the Snapathon as well as having a presentation from our longstanding member, Helen Lewis on Animal Photography & a Safari Adventure. Lots of exciting things in the pipeline for our club. In the meantime, if you have been thinking about joining our club, 2019 Memberships are now open (see link 'Join our Club'). Becoming a member of PACC, gives you access to “In Focus” our private Facebook group exclusively for members only. Within that group you can ask questions, share ideas and generally get to know the other members. We also send out regular updates via email, so if you miss a few club nights, you will not miss out on important information. Well, that's it from me for now. I'll be back again after our competition night, with some great winning images from our members.